The Johnson GEO VISTA Park is located on Signal Hill Road in St. John's, directly adjacent to Signal Hill National Historic Site. 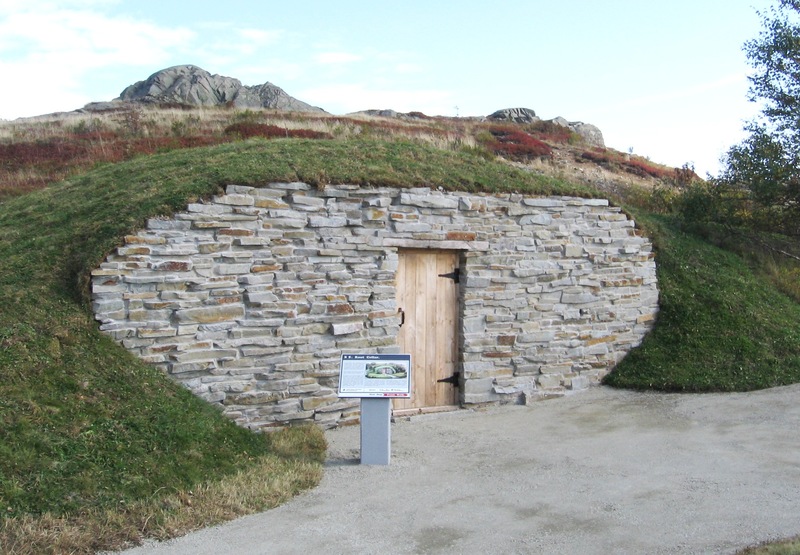 The Park contains a world-class geological interpretation centre, stoneworks, outdoor displays, unique natural features, and panoramic views of the City. 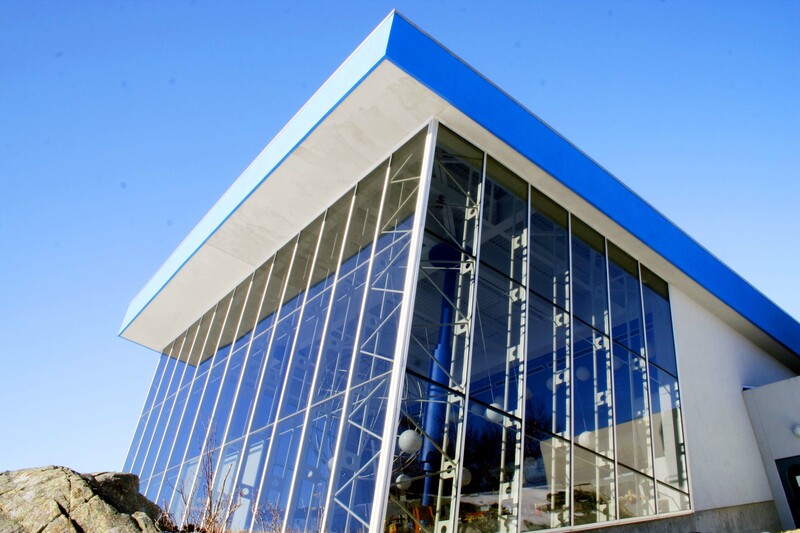 The Johnson GEO CENTRE is a geological interpretation centre built deep into ancient glacial bedrock. The building, a project of the Johnson Family Foundation, was completed in 2002. Most of the centre is underground, utilizing a geothermal heating system. Inside, view 3D movies and exhibits on space, geology, resource industry, and the Titantic shipwreck. Check geocentre.ca for hours and visitor information. 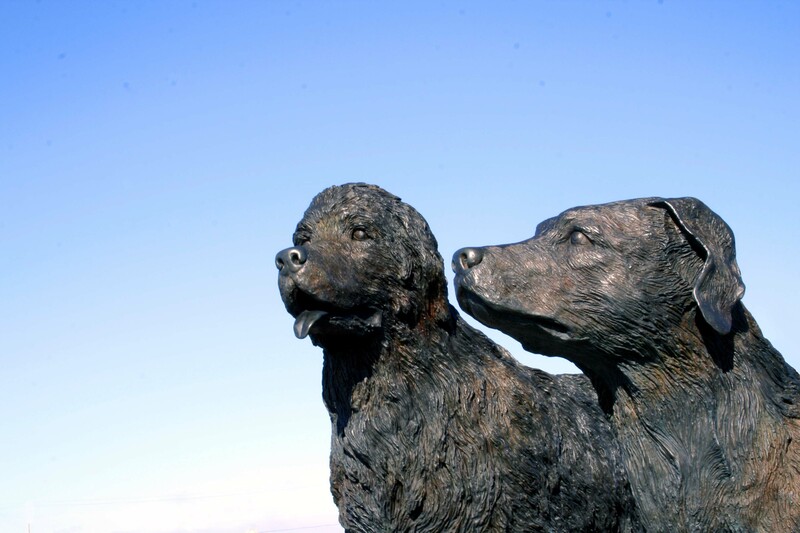 The larger-than-life bronze sculptures of Newfoundland and Labrador Dogs, created by local artist Luben Boykov, recognize our Province as the home of two world-famous canine companions. Residents and visitors take delight in climbing on and taking photos with the beloved statues. A second set of statues exist in Harbourside Park with information panels describing the history and significance of the friendly creatures. Eight looped trails in the Johnson GEO Park guide you through inspiring views and informative outdoor displays. Stoneworks and panels explain the local geological formations, botanical species, and traditional uses of stone. 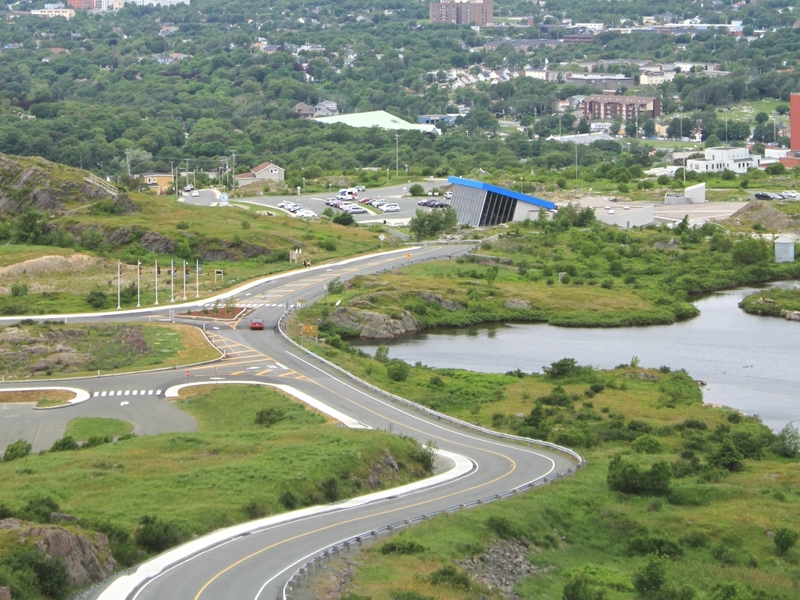 Completed in 2007, the park wraps around the Johnson GEO CENTRE and continues across Signal Hill Road to Deadman's Pond. 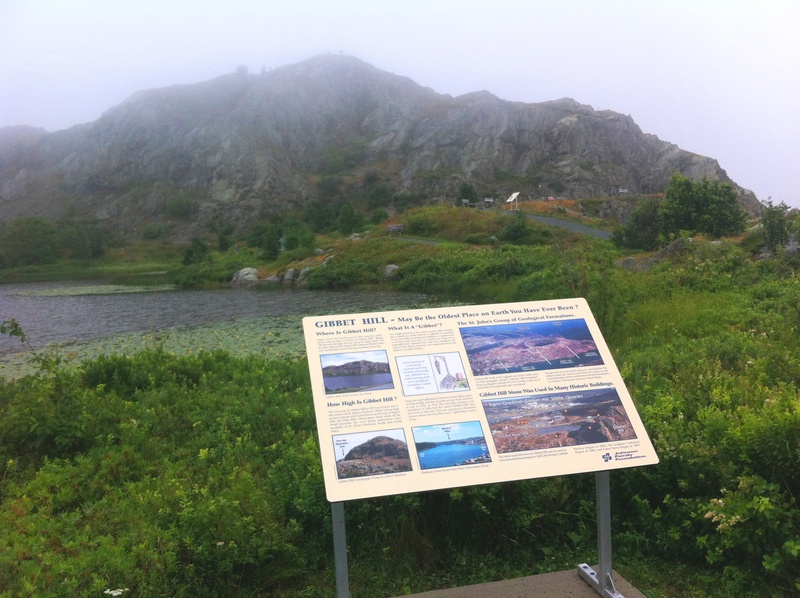 A short walk around Deadman's Pond is part of the Battery-to-Signal-Hill Walk, which connects with the small neighbourhood on lower hillside slopes known as 'The Battery'. Read about the strategic military position of Signal Hill and the grizzly practice of 'gibbeting' in the Province's colonial past. Designed to resemble the bridge of a ship, the Harbour Vista observation deck provides the best view in the city, with all sides of St. John's Harbour visible. A total of 14 Historyboards® outline the history of the Harbour, as well as the half-billion-year geological history of Signal Hill. 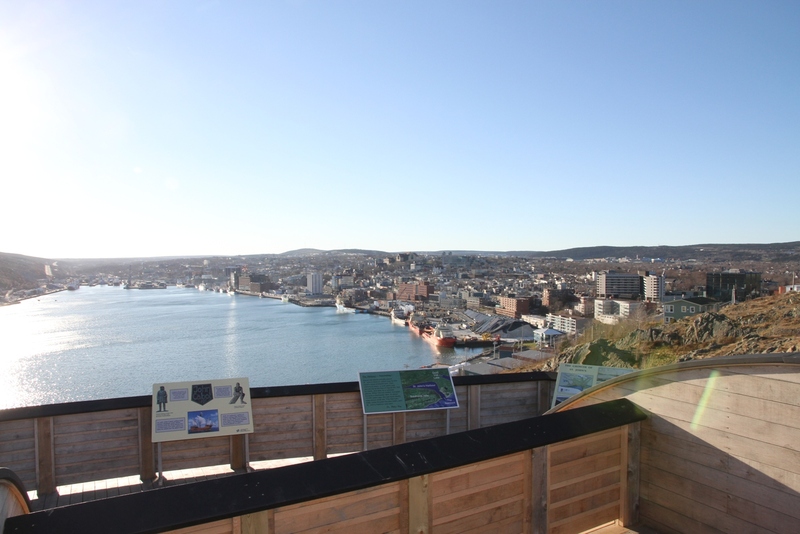 The deck was built during 2011-2012 seasons and was supported by the Province of NL, City of St. John’s, Johnson Family Foundation, and the Grand Concourse.